Early Literacy Aside--Explain: Print motivation is an interest in and enjoyment of books and reading. It is one of the early literacy skills that researchers say are important for children to have before they learn to read. Choose books that you enjoy. 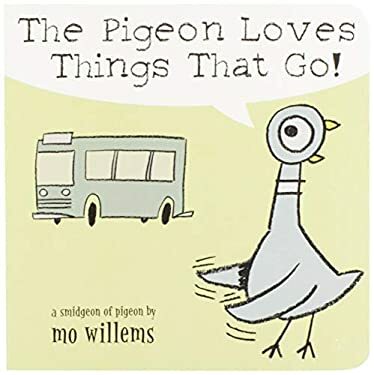 Your child picks up on your feelings and understands the enjoyment of books and reading.Read several of the "pigeon" books during the storytime, having fun with them in different ways: acting them out, predicting outcomes, singing "The Pigeon on the Bus" to the tune of "The Wheels on the Bus", drawing a pigeon, etc. Early Literacy Aside--Example: Parents, you can see we are building on the book to add to the enjoyment of sharing the book itself. You know your child best and you can use your child's interests to build on the books you read together. Early Literacy Aside--Empower: You may not realize it but by sharing books you and your child enjoy, you are helping to develop your child's print motivation. So, every day continue to share books that you enjoy with your child.